Young people filing for divorce often encounter more personal and financial issues compared with older couples, according to the MLC’s Principal Solicitor, Annette van Gent. In an interview with Triple J Hack, Ms van Gent said it costs several hundred dollars to get divorced and this can deter young people from seeking legal help at the outset. ‘’It can be quite expensive for younger people … and as a consequence, often people don’t seek advice in those timely ways they could or should and that can mean sometimes that the problems around getting separated and divorced escalate in a way that they don’t necessarily have to. ‘’Often [young] people don’t necessarily know at the first instance what to do, who to turn to, where to get support, where to get advice, where to get help,” she says. “There are community legal centres like the one that I work for and we can give advice and some very practical suggestions as well to people which is really important at an early stage to stop the issues becoming more complicated than they need to be,” she says. Migrants are faced with significant challenges when attempting to leave abusive domestic partnerships according to MLC solicitor, Katie Green. In an interview with SBS Radio’s Portuguese service, Ms Green explains that migrants may feel particularly vulnerable if they experience domestic violence, since their place in the country is contingent upon their relationship with their attacker. "I think for migrants there are so many barriers to accessing support and assistance because people are thinking about what ties them to that visa and what their migration responsibility is,” she says. 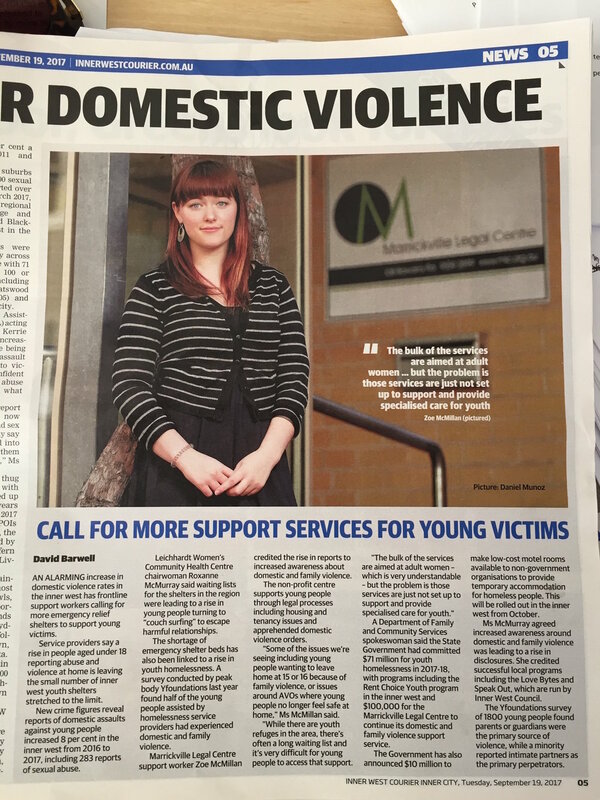 Read more about the particular issues relating to young people and domestic and family violence in this article in the Inner West Courier. A 19-year-old woman with a learning disability has been given a second chance, after a brush with the law. The woman, who also has a number of diagnosed mental health problems and lives with her mother in Sydney’s south-west, recently faced court on a number of minor charges. Marrickville Legal Centre’s youth solicitor, Katie Green, successfully argued the young woman she represented should be diverted from the criminal justice system into a treatment program that would help her address underlying problems to prevent any further offending. Instead of ordering a criminal conviction, the Magistrate made orders that the young woman be required to attend regular counselling and yoga at her local headspace program. MLC lawyer Katie Green says it’s a good outcome: “I am pleased that this young woman has been given a second chance to engage with support services and continue with her TAFE course and apprenticeship. “Unfortunately, a lot of young people with mental health problems or disabilities are criminalised for minor offences at a very early age. This sets them up to fail before they have had much of a chance,” she says. Marrickville Legal Centre’s youth solicitors attend headspace in Bankstown and Liverpool to provide free legal advice for young people experiencing mental health problems. Find out more about MLC’s state-wide Youth Legal Service here. One in two queries to our service relate to wage underpayment: and so often it’s migrant workers who pay the price. This is in line with a report by Unions NSW which showed 97% of hospitality jobs advertised on foreign language job websites were under the minimum wage. In an interview for the Inner West Courier, Principal Solicitor Annette van Gent said migrant workers and young people are particularly vulnerable, with the minimum wage and conditions often being ignored by employers. While we’re celebrating ongoing funding from the NSW Government, the Centre is also meeting representatives in Canberra. A team from MLC went to Parliament House to express thanks for the recent funding reversal of funding cuts for the sector. The team also explained the need for better resourcing for its services for survivors of family and domestic violence. MLC’s team was warmly received by two elected political representatives in our community: Linda Burney (Barton) and Craig Laundy (Reid). There was also a supportive meeting with a staff member from Anthony Albanese’s office (Grayndler). There are future meetings with both federal and state representatives planned. The NSW Government has announced ongoing funding to support survivors of family and domestic violence in Marrickville Legal Centre’s community. 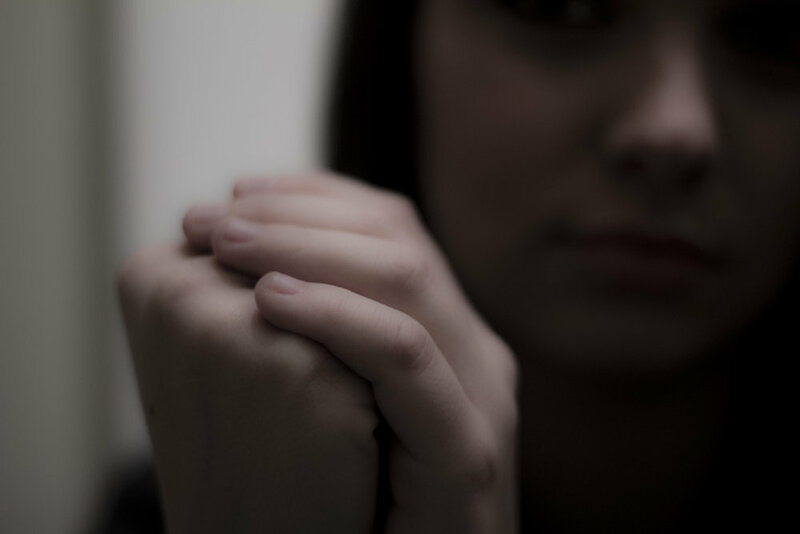 The Minister for the Prevention of Domestic Violence and Sexual Assault, Pru Goward, has announced the Centre will again receive $100,000, allowing it to continue its Family and Domestic Violence (FDV) support service for another year. Marrickville Legal Centre’s Principal Solicitor, Annette van Gent says the support is vital. “We are grateful for the continuing support, as we know family and domestic violence is such a big problem in our community. “As these cases are usually complex, lengthy and traumatic, the Centre needs to work with people sensitively and in a holistic fashion. That’s why a social worker specialising in family and domestic violence is critical, in addition to the service of our lawyers,” says Ms van Gent. Marrickville Legal Centre serves a community of 1.5 million people in Sydney, including the inner west, south-west and southern suburbs of the city. One in three calls to the Centre relate to FDV: due in part to the large service area and also because the community has particularly high rates of such violence. Canterbury-Bankstown is one of the five areas in NSW with the largest proportion of domestic violence assaults (NSW Recorded Crime Statistics, July 2015-June 2016). The Marrickville Legal Centre was instrumental in developing the “Yellow Card” program, through which women experiencing violence were proactively referred to support services by police. It has since developed into the It Stops Here – Safer Pathways program, which has been rolled out across NSW. As the Centre also runs a state-wide Youth Legal Service for children and young people under the age of twenty-five, it caters to the specific needs of those young people who are survivors of FDV. “Young people especially don’t realise they are experiencing family and domestic violence,” says Ms van Gent. Justin Abi-Daher is the youngest son of immigrants who left Lebanon after the civil war in the early 1980s. As one of Marrickville Legal Centre’s state-wide strata solicitors, he has used his fluent Arabic to help clients. When I was a tenant advocate at Western Sydney Legal Centre, I came across a client who was bullied by a real estate agent. The client suffered from schizophrenia and panic attacks. When I walked into conciliation, the agent went straight for this client, without remorse. Those tenants, if they lose the tenancy, they have nowhere to go: there’s a waiting list for social housing. They fall into that black hole. The way the real estate agent represented the client was completely different to how the tenant was. We won that case: she’s still in that property and it’s been nearly two years. How did you become interested in the community legal sector? My interest in social justice comes from growing up in western Sydney. I am the only one in my family born here and the only one to get a tertiary education. I wanted to help my own community. Besides working in the community legal sector, what other roles have you taken on? I worked as a digital media intern at News Corporation. I worked for GQ online: writing articles, doing all the online updates and galleries for six months. I also worked at the ABC as a legal intern. Fashion and media have always been an interest, that I like to keep running on the side. I think if I let that go, I would probably get burnt out. It’s a bit nerdy, but I am re-watching all the Harry Potters: I’m up to series eight. I loved it growing up. I tend to read more magazines now: Kinfolk and Smith Journal. I’m more into that than reading books, mostly because I do so much reading and writing here at work. So in my spare time, I’m more into visuals and photography: something other than writing. I’m about to go on holiday to Slovenia and my camera and tripod will be with me the whole time: in the mountains and near the lake with the castle in the middle. People are surprised that I listen to a lot of heavy rock music, like scream-o stuff. I also listen to a lot of alternative music now. Some of the heavy stuff I’ve listened to is Alexisonfire and Underoath. Is there anything quirky that you'd be happy to share? My favourite animal is a cow, I’ve always had an obsession with them. I take hundreds of photos of them, I have a cow pen that moves. I’m going to Byron Bay soon for the festival Splendour in the Grass and the whole road is just lined with cows: we’ll be stopping hundreds of times to take pictures. Sometime I try to be in the photo with them, but often they run away which is a bit sad. They’re quite peaceful. I don’t discriminate on colour, but the classic black and white ones are beautiful. I’m not veg, I have been, but not at the moment: sorry, cows! I always threaten to give up beef: it’s an existential crisis, let’s not get into it! Our area has a lot to be proud of: we're home to one of the most culturally and linguistically diverse communities in the city, including Aboriginal and Torres Strait Islanders and a vibrant LGBTIQA+ community. Unfortunately, we also have something that's shameful and largely hidden: some of the highest rates of domestic and family violence in NSW. In Marrickville Legal Centre’s catchment, Canterbury-Bankstown is one of the five areas in NSW with the largest proportion of domestic violence assaults*. And it's reflected in our statistics: approximately one in three queries relate to violence in the family or in an intimate partnership. This end of financial year, will you help support some of the most vulnerable in our community, by supporting Marrickville Legal Centre’s outreach to these survivors? Your donation is tax deductible and every cent will be spent on services: we guarantee none will be spent on administration or fundraising. So often in family and domestic violence, the social problems overlap with the legal ones: that’s why there’s a social worker specialising in this area that is based at our Centre. All the recent attention, along with a new system which has been rolled out across NSW means we’re now hearing from more people in crisis. While it’s great that more people are seeking help, we’re struggling to meet the demand. In the past few years, the number of family and domestic violence survivors seeking help from Marrickville Legal Centre has increased and the cases have become more complex: and we’re trying to meet that with the same resources. Please give what you are able to help us to maintain and expand our services for people leaving family and domestic violence. Your donation is tax deductible and every cent of it will be spent on outreach for people leaving family and domestic violence. That's no spending on administration or fundraising. A legal health check aimed at young people has revealed widespread concern about discrimination. Hundreds of young people – including some from disadvantaged schools in Sydney’s south and south-west – have taken part in the study. Marrickville Legal Centre’s Youth Solicitor Katie Green started the work in January, to establish what young people did – and did not – know about the law and their rights. “There are huge numbers of young people who have legal problems that are not diagnosed: and discrimination is the most common one,” says Ms Green, who points to one respondent who reported discrimination based on a range of personal attributes, including race, age, physical appearance and mental health. The survey, which has been tailored for those under 25, is based on the legal health check established by the National Association of Community Legal Centres. Young people are also asked about experiences of family and domestic violence, fines and sexual abuse, amongst other matters. The results from the work will inform future Community Legal Education sessions, which are regularly carried out in schools and refuges. In addition to community outreach, the Marrickville Legal Centre operates the oldest free youth and children’s legal service in NSW. Those under 25 are encouraged to contact the Centre on (02) 9559 2899 during business hours. Last week, our tenancy advocate Sousan Ghecham discussed the need for greater security and protection for tenants. Sydney has been named as the second most expensive city in the world when it comes to housing affordability. More and more Australians find that they are renting for much longer periods instead of buying their own homes. A recent survey of 1000 tenants found that over half reported feeling powerless when it comes to asserting their rights as tenants even when it comes to basic repairs for fear of being evicted. Marrickville Legal Centre provides free advice to tenants living in the Inner West on their rights and responsibilities, for more information you can call 02 9559 2899 or visit www.tenants.org.au. We also provide free advice through the North Sydney Area Tenancy Service which can be contacted on 02 8198 8650. Our dedicated volunteers are integral in helping Marrickville Legal Centre provide legal support to the most vulnerable members of our community. Every year we enjoy giving back with our Volunteer Appreciation Night, and this year's was a blast! Thank you to all our wonderful volunteers, to The Warren View Hotel for hosting and to everyone who attended and made it a great night (and to those who made it to Ding Dong Dang for Karaoke Kick-ons). 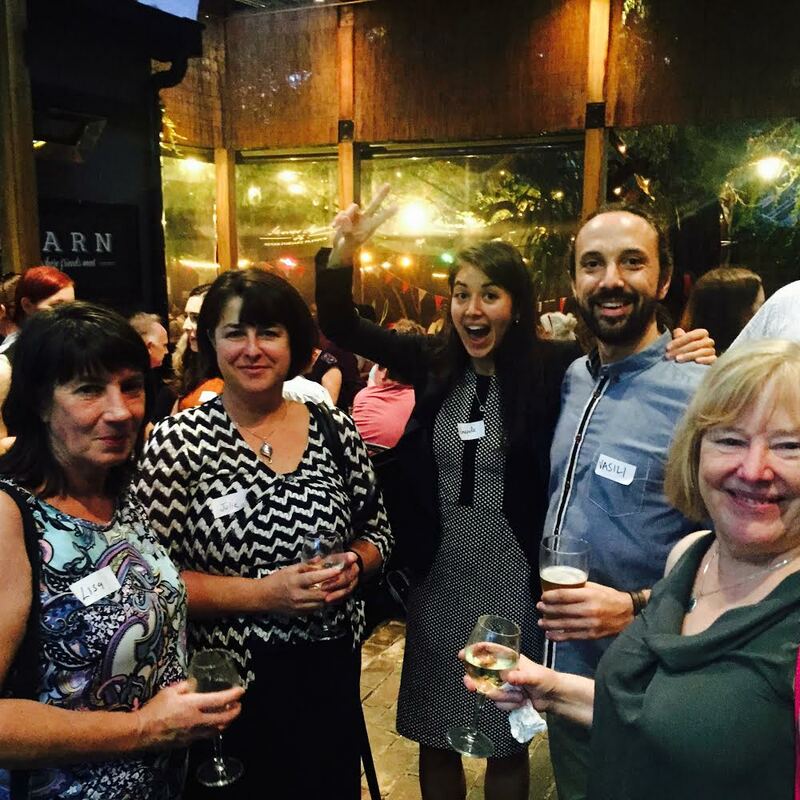 If you are interested in volunteering at Marrickville Legal Centre, please contact enquiries@mlc.org.au. Marrickville Legal Centre is thrilled to announce this very special event - please come to Story Club at Sydney Comedy Festival, this Saturday 23 April. Proceeds from ticket sales will be generously donated to Marrickville Legal Centre’s campaign to keep a domestic violence support worker on staff. Click here for tickets & more information.